With nowaday’s technology, it is not delusional if you want to get a fish without needing too much effort. You can hope that thing in the past, but with today’s technology, you can get that thing not just hoping. Here is the equipment which is intended for the saltwater jigging, the Okuma Cedros Spinning Reel. It can be categorized as the cheap spinning reel which offers a good quality and good experience in fishing for you. The Okuma has made the spinning reel become their specialty as they have made countless of a high quality spinning reel. The reel itself is critical when doing your fishing activity. It helps you to contain all the power that the fish release, without it, you probably can be taken by the fish strength. This reel is specially designed for the saltwater jigging. It has a balance of both its quality and price. Many people have considered this product as one of their alternative in their fishing activity. So if you want to learn more about Okuma Cedros Spinning Reel, let’s see the explanation below. Okuma Cedros has about six models which each of them have different usage. The series number are given for us to notice about all its difference. Those models are CJ30S, CJ40S, CJ45S, CJ55S, CJ65S, and CJ80S. Okuma Spinning Reel itself has a universally high gear ration which is why this reel is suited for the vertical jigging and other techniques which need a fast retrieve. The last model gives us the best maximum drag pressure while the first model gives us the smallest drag pressure. The last model has 33 lbs. Maximum drag pressure while the first one has 18 lbs. 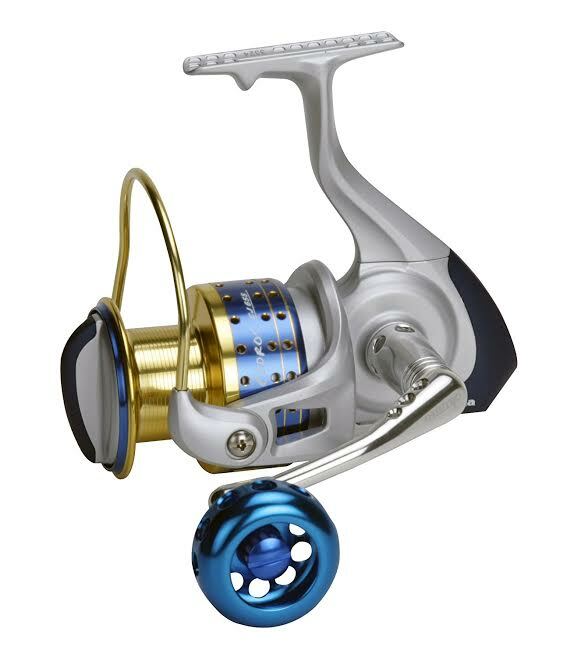 The bearings are also quite low as each model has 4+1 bearing.This is one of the aspects that makes Okuma become a spinning reel with the low price. The performance is quite decent considering it lacks good materials and the bearings and drag pressure is quite a low one. However, the company adds some nice features to compensate it. Okuma Cedros has the DFD and ALC system; the DFD is precision dual force drag system while the ALC system is the rigid and die-cast aluminum frame. Both of these features affect the overall performance greatly which makes the spinning reel better than other. It also has the patented elliptical oscillation system and quick set anti reverse roller bearing. Those features are a very minimal addition but still vital for the product. So Okuma Cedros is quite decent in its performance. What makes it become one of the favorite product is its price. The price is quite affordable while the product also has quite a durability and pretty excellent standard. So if you love the usual and stable spinning reel, you can try Okuma Cedros. Check the best price for Okuma Cedros Spinning Reel here!